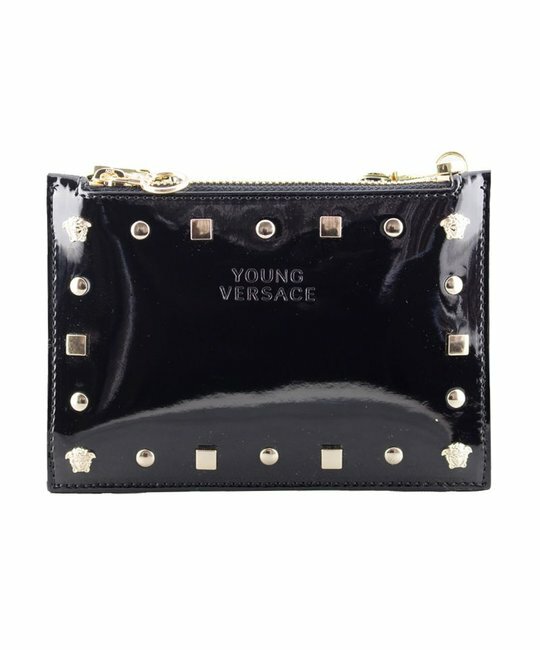 Young Versace soft leather black messenger bag with shoulder strap, gold medusa and stud detailing. 100% Leather. Made in Italy.